Dinas Cross – Pwll gwaelod – Cwm yr Eglwys: From Dinas Cross a short walk or drive down the lane takes you to Pwllgwaelod, a sandy cove from which you can you can either take a short walk on flat ground over to Cwm yr Eglwys beach or begin an exhilarating and spectacular circular walk around Dinas ‘Island’ to Cwm yr Eglwys, one of the loveliest coves in Wales, with a single wall and bellcote being all that remains of the church destroyed by the great storm of October 1859. Distance approximately 3 milesand is approx a 2hr walk. This stretch of the Coastal Path is particularly popular with hikers and has on several occasions been nominated by the AA as their recommended ‘Walk of the Year’. Catch the Poppit Rocket, the walker’s bus back. Pwllgwaelod to Aberbach (towards Fishguard): First part is cliff and coast with steep gradients and steps. Second part is firm surfaces along country lane. Duration: 2 hrs; Distance: 4 miles. Pwllgwaelod to Strumble: This could be described as The Last Invasion Trail, as it’s where the last invasion of Britain took place. This route can be quite taxing as it’s both rugged and undulating, but there are plenty of opportunities to take breaks. A detour into Fishguard is obligatory to see the last invasion tapestry. Distance: 13 miles. Catch the shuttle mini bus running 3 times a day back to Dinas. 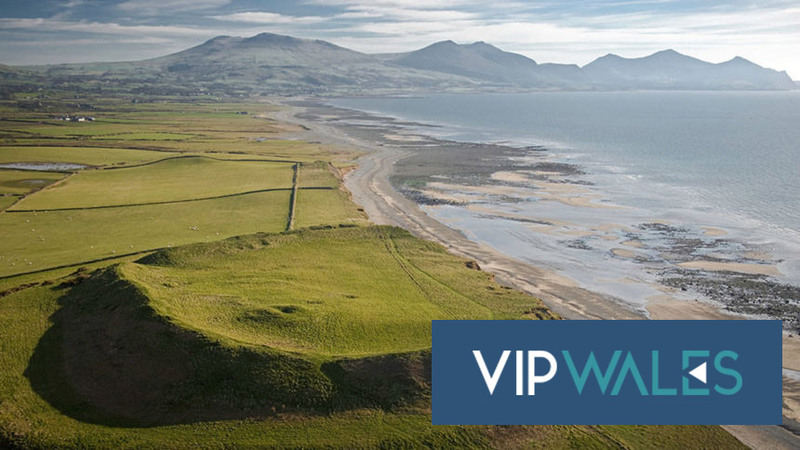 Pwllgwaelod to Newport: A walk that can be extended by climbing up Carn Ingli for one of the best views in the UK. The initial hike up to Pen Y Fan on Dinas Island, the highest point on The Coast Path, rewards you with some great views. Over to Cwm yr Eglwys and on to Aberfforest where a sandy and shingle beach is suddenly revealed as a rocky inlet. Continue your walk to Newport. Distance: 7 miles 11 km. 9 miles 14.5km (including Carn Ingli. Distance: 13 miles 21 km). Catch the shuttle bus (3 times a day)or service bus T5 (hourly) back to Dinas.